QUAFF evolved from casual social get-togethers of a handful of homebrewers who in the mid-1980s would gather once or twice a month to discuss and evaluate commercially brewed beers, with a focus on imports. The nucleus of the group was formed around Beer and Wine Crafts, San Diego’s original and now long-defunct homebrew store. The nascent group was spurred on by the enthusiasm of store’s owners, Audrey and the late Owen Eckblom, who also provided homebrewing classes at the store. By the late 1980s, the group had adopted the QUAFF moniker and had begun to meet on a regular and organized basis, not only to critique commercial beers but also to evaluate the growing membership’s ever-increasing homebrews. The Eckbloms also managed to get a homebrewing competition instituted at the local Del Mar Fair, a competition that remains an annual event on the San Diego homebrewing calendar. 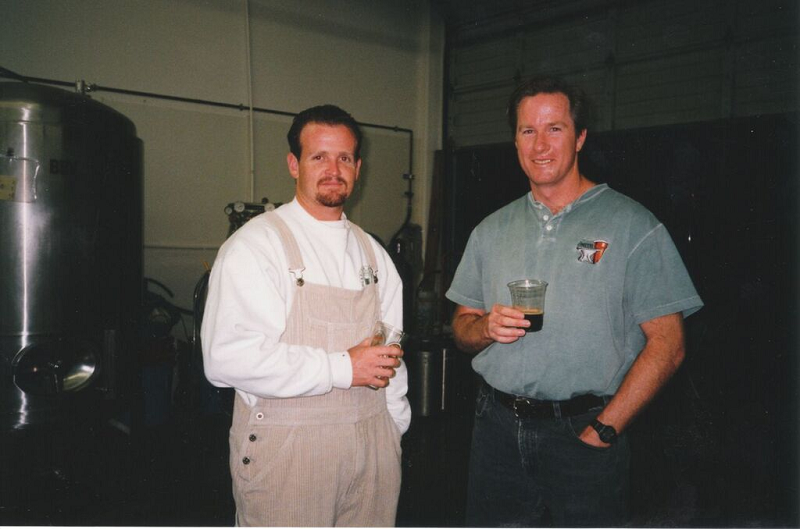 By the early 1990s, one of San Diego’s first brewpubs—Callahan’s—was started by two QUAFFERs, Scott Stamp and Lee Doxtader. They would later also go on to resurrect the San Diego Brewing Co. name for their second brewpub. Callahan’s provided the small group of homebrewers with a regular monthly meeting place. Small being the operative word—occasionally there were so few members in attendance that they would have their meeting in and around one of the brewpub’s booths. But quality being more important than quantity, it was at these meetings that the DNA for AleSmith Brewing Co. (Skip Virgilio and Ted Newcomb), Blind Pig Brewing Co. (Vinnie Cilurzo) and Alpine Beer Co. (Pat McIlhenney) was shaped. Cilurzo and McIlhenney in particular contributed to the “hop-upmanship” that has resulted in a plethora of IPAs, double IPAs and “San Diego pale ales” currently being brewed in San Diego County. All of the aforementioned brewers and many others have commented on the willingness of club members to share information, helping them to become better brewers. 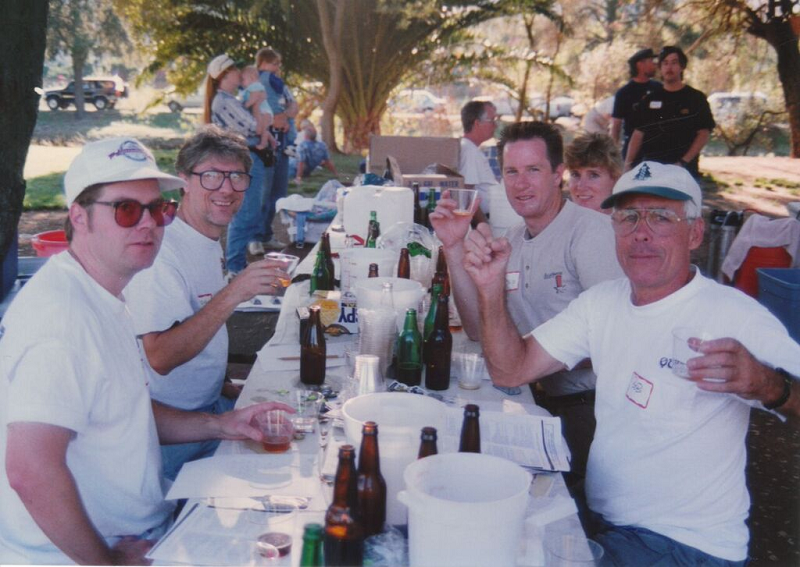 By 1996, the club started to organize study sessions for the Beer Judge Certification Program (BJCP). Over the years, more than 100 QUAFF members have become BJCP judges, including more than 20 national judges, four master judges and a grand master judge. QUAFF has for many years also sponsored “America’s Finest City Homebrew Competition,” an annual competition sanctioned by the American Homebrewers Association (AHA) open to any and all homebrewers. QUAFF has also reached out to the Las Vegas homebrewing community to run BJCP exams there, and this last December, QUAFF member Mike Habrat, along with three other QUAFF members acting as proctors, administered an exam in Tijuana, Mexico, for some of the Baja brewers who by geographical extension have become part of San Diego’s greater brewing community. In addition, six QUAFF members will be off to Hawaii in October to administer a BJCP exam over there, as there are not enough nationally ranked BJCP judges in Hawaii to fulfill the task. Peter Zien, current owner of AleSmith Brewing Co., sought out QUAFF in order to attend a BJCP seminar in 1996 and decided to join the club. By 1999 he was the club president. It was primarily Peter’s cheerleading and cajoling that resulted in QUAFF members entering more state and national homebrew competitions. Zien’s zeal and encouragement quickly bore fruit. For three consecutive years starting in 2001, QUAFF earned the “California Homebrew Club of the Year” title and from 2001 to 2006, a record “five peat” as the AHA National Homebrew Club of the Year. In tandem with the growth of San Diego’s craft breweries, the club has also grown at a fairly rapid pace in recent years. At the time of this writing, QUAFF had 417 club members. In addition to the brewers mentioned in the article, a number of other current and past members have also joined the professional ranks. Tod Fitzsimmons, Bill Batten, Anthony Chen, Jeff Campbell, Ryan Crisp and Bryan Crecely (AleSmith), Paul Segura and Sean Albrecht (Karl Strauss Brewing Co.), Chris White (White Labs), Jim Crute (Lightning Brewery), Dan Selis (Mission Brewery), Patrick Rue (The Bruery), Doug Duffield and George Cautaulin (Ballast Point), Dean Rouleau (Prodigy Brewing Co.), Doug Constantiner (Societe Brewing Co.), Matt, Rachael and Jim Akin (Benchmark Brewing Co.), Mark Purciel (Oceanside Ale Works), Paul Sangster, Guy Shobe, Alex Stevens and Chris Stawney (Rip Current Brewing Co.), Jamil Zainasheff (Heretic Brewing Co.), Bill Randolph and Pat Horton (Stumblefoot Brewing Co.), Alex Van Horne (Intergalactic Brewing Co.), Derek Gallanosa (Abnormal Beer Co.), Tom Nickel (Nickel Beer Co.), Liz Chism, Curtis Chism and Jeffrey Crane (Council Brewing Co.), Peter Perrecone (Belching Beaver Brewing Co.), Brett Goldstock (Duck Foot Brewing Co.), Jonathan Wise (32 North Brewing Co.), George Thornton (The Home Brewing Co.), Bill Sobieski (Hoparazzi Brewing), Joaquin Basari, Marcel Favela and Martin Favela (Border X Brewing Co.), Ray Astamendi (Fall Brewing Co.), Kevin Rhodes (Groundswell Brewing Co.), Stan Sisson (Julian CiderWorks), Nathaniel Schmidt (Agua Mala Brewing Co.), Fabio Colombo (Stone Brewing Co.), Wes McCann (National Capital Brewing Co.) and multi-national-award-winning homebrewer Kelsey McNair, who plans on opening the North Park Brewing Co. in the first quarter of 2016.